The Memorial Candle Program has been designed to help offset the costs associated with the hosting this Tribute Website in perpetuity. Through the lighting of a memorial candle, your thoughtful gesture will be recorded in the Book of Memories and the proceeds will go directly towards helping ensure that the family and friends of Ben Chambers can continue to memorialize, re-visit, interact with each other and enhance this tribute for future generations. 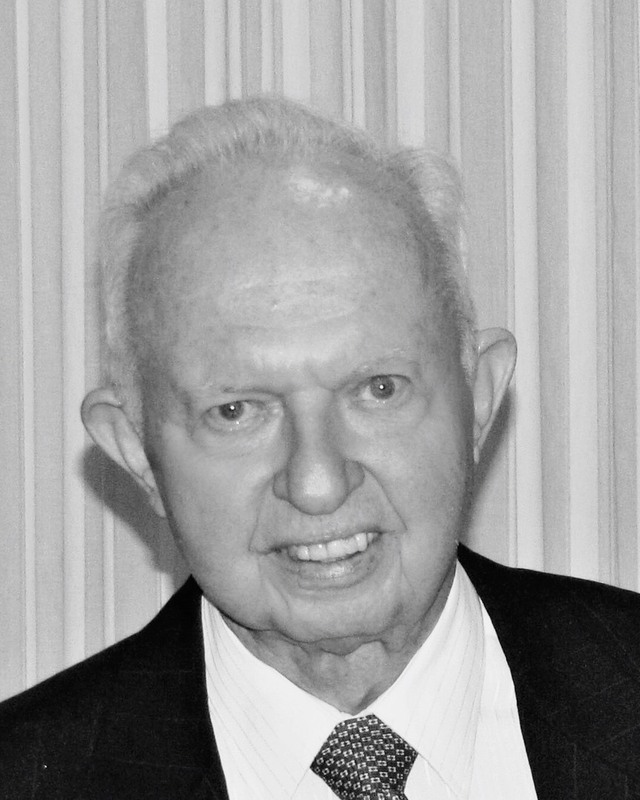 Ben Louis Chambers passed away on June 5, 2018. Born in Houston on April 18, 1930 to Lucille Bell and Ben R. Chambers, Ben moved with his parents and sister Mary Lucille to Breckenridge and Tyler where his father was a landscape architect designing parks for the state. It was in Tyler that Ben was baptized in a Baptist church at the age of 9. The family moved back to Houston during World War II where his Dad worked with Brown Shipbuilding company. Upon returning to Houston, the family rejoined South Main Baptist Church. Ben graduated from San Jacinto High School in 1947 and then attended Texas A&M University graduating in the Class of 1951. After college he served in the Air Force and attended UCLA to become a weather officer. He then was deployed to Korea for a time before returning to complete his active duty at the Pentagon as part of a synoptic weather analysis team. Ben returned to Houston after duty with the Air Force and went to work for IBM as a programmer in 1956 at a time when computers needed a whole floor of an air-conditioned space to run. He rejoined South Main as part of a large singles group and it was there that he met Mary Lou. They were married July 18, 1959 at South Main. Ron was born in Houston in 1961. The family then moved to Dallas for Ben’s work and Mark was born in 1964. In 1966 they returned to Houston and back to South Main where they have lived their lives centered in this place. South Main is where they made their “Forever Friends”. Ben was a member of South Main for 60 years. He was a deacon and served on many committees. For most of the 60 years, Ben was a loyal “greeter” in the Welcome Center on Sunday mornings. For more than 10 years, he and Harold Sellrrs co-chaired a team that facilitated memorial services. Other roles he filled included active, regular participation with Mainstreamers, Adult III retreats and assisting with lunches after Sunday worship. Ben was also a member of the Men's Bible Class. For 52 years, Ben and Mary Lou lived in Fonn Villas, a great neighborhood in the Memorial area, where Ben played a vital part in making it a safe and beautiful subdivision. Working with other residents, he helped to develop a green space, which eventually became Bendwood Park. Working with others, he planted trees and tended them for years to develop the park. Over time, the City of Houston began to cooperate with this effort and together they made the park what it is today. Ben was instrumental in establishing the Constable Contract Service which began in Fonn Villas in the late 1970’s. This program eventually grew to involve 10 additional subdivisions and provided officers close by which enhanced the safety and security for residents. For many years Ben also worked with the Westside Civic Positive Interaction Program organization that facilitated greater cooperation between police departments and civic groups in west Houston. Finally, for many years Ben worked with the Spring Branch Memorial Sports Association building and maintaining sports activities and fields for the children on the west side. Ben is survived by his wife of almost 59 years Mary Lou, son Ron, son Mark and his wife Jeannie, grandchildren Suzanne Chambers and Brian Chambers, his sister Lucille Bonner and her family of White Rock, New Mexico, his cousin’s wife Dorothy McCaine and family of Houston. A memorial service will be held at South Main Baptist Church, 4100 Main Street, Houston, TX on Saturday, June 16, 2018 at 11:00 am. In lieu of flowers, the family requests donations can be made to South Main Baptist Church or Houston Hospice. To send flowers to the family of Ben Louis Chambers, please visit our Heartfelt Sympathies Store.